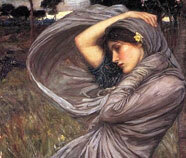 When looking for an incredible painting to grace the walls of your home with, there are few painters who rival the beauty that is portrayed through the art of each John William Waterhouse Painting. 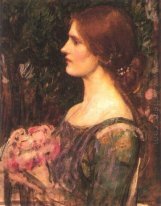 Perhaps one of the most widely used subjects that John Williams painted on is his muse Ophelia, whose most famous painting captures her beauty right before her life ended. 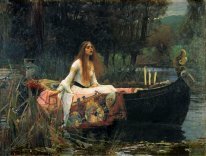 Just as The Lady of Shalott and many of the other incredibly popular John William Waterhouse Paintings, this painting depicts Ophelia meeting her end near water. In 1888, this painting was submitted to the Royal Academy in order t gain his diploma, but the painting went missing until the early 20th century. Currently, the original edition of this painting is held in the large collection of Lord Andrew Lloyd-Webber, who displays the painting proudly. Of course, this does not mean that your home cannot be graced by such elegance and pristine beauty, as plenty of oil painting copies have been made of this beautiful piece of history. 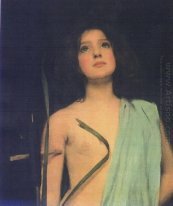 John William (or John William Waterhouse) found his way into this world in the middle of the 19th century, when the Industrial Revolution was still well underway. He was born into one of the lower classes, where he began to follow after many of the famous artists of the time who chose to rebel against the common nature and themes of both literature and artwork. As he grew older, he chose to work his way into the Royal Academy, but was unsuccessful until 1874. 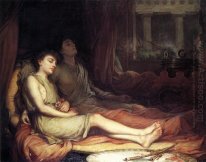 Once he turned 25, his work Sleep and His Half-Brother Death was displayed at the Royal Academy's Summer Exhibition, where it found fame and popularity amongst both the visitors and the staff working the exhibition. From this time onwards, the painting was shown at the exhibit until John Williams died in 1917, but before this time the John William Waterhouse Paintings earned him the place of a full Academician, allowing him to teach others at the St. John's Wood Art School. 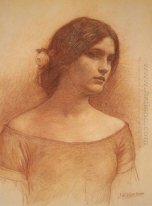 The John William Waterhouse Paintings will never be forgotten, and he is truly one of the few artists whose notoriety grew while he was still alive. Throughout the entirety of his life, he continued painting, and eventually died on February 10th, 1917 after suffering from a disease that eventually took his life on this fateful day.